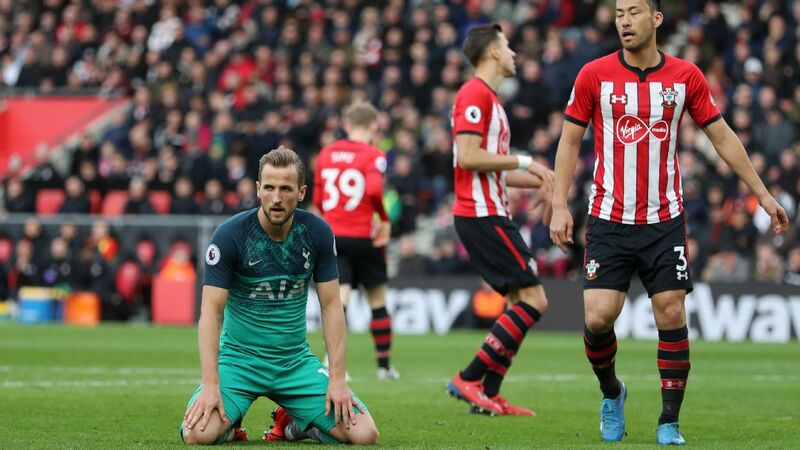 Manager Ronald Koeman was left seething with Victor Wanyama and Sadio Mane as Southampton continued their sleepwalk towards the relegation battle after losing 1-0 at struggling Norwich on Saturday, the club's sixth defeat in a worrying eight-match slump. Angry Koeman axed star forward Mane from his starting lineup after the Senegal international turned up late for a prematch team meeting. Mane's antics on the day the transfer window re-opened only increased speculation he is trying to orchestrate a big-money move to Manchester United and did little to help Southampton's cause. Koeman was also let down by another player being linked away from the St Mary's Stadium, Wanyama, who was sent off for picking up a second yellow card for a reckless challenge on Norwich's Vadis Odjidja-Ofoe. It all adds to a sense of tension behind the scenes, which is contributing to Southampton's worst run of Koeman's tenure. GK Maarten Stekelenburg, 6 -- Did not have to make a noteworthy save until Alex Tettey's thunderbolt flew past him for Norwich's late winner. Another game without a clean sheet for the Dutchman, but little he could do about it. DF Cuco Martina, 7 -- Enjoying his prolonged spell in the starting lineup and produced another solid performance. Took the opportunity to get forward and join Southampton's attack whenever he could. Played a delicious throw ball to create a chance for Shane Long, which the Irishman should have finished. DF Jose Fonte, 6 -- Made to look foolish by Jonny Howson early on as the Norwich midfielder bustled his way into the box and almost gave Norwich the lead. The captain looks a little short in confidence and has not been at his dominant best during Southampton's poor run. DF Virgil van Dijk, 6 -- Was up against Dieumerci Mbokani, who is a throwback old-style English centre-forward, and found the DR Congo international a tricky opponent. Also wasteful in possession at times. DF Ryan Bertrand, 7 -- England man kept the livewire Nathan Redmond quiet with some assured defending and was Southampton's biggest threat going forward. MF Jordy Clasie, 6 -- Another disappointing display from the £8 million Dutchman. Overran in the middle of the park and his failure not to track the run Odjidja-Ofoe in the build up to Norwich's winner proved crucial to the outcome of the game. Victor Wanyama was sent off in the 73rd minute at Norwich. MF Victor Wanyama, 4 -- The Kenyan let his teammates and supporters down by collecting his second red card of the season. His tackle on Odijdja-Ofoe having already been booked for a late challenge on Nathan Redmond was utter stupidity. MF Steven Davis, 6 -- Has been Southampton's best player over the festive period but could not hit the same heights at Carrow Road. Apart from forcing an early save from Declan Rudd, the Northern Irishman made little impact on the game. MF Dusan Tadic, 6 -- Linked up well with Bertrand down the left and always posed a threat. The Serbian sliced his best scoring chance into the side-netting. MF James Ward-Prowse, 6 -- Called into the team to replace the absent-minded Mane at the 11th hour but does not have the same array of attacking talents. Caused problems with his set pieces but needs to do more in open play. FW Shane Long, 6 -- A constant menace to the Norwich defence. Showed great bravery when heading over early on and had another header saved by Rudd. Should have done better when one-on-one with the Norwich goalkeeper but took too many touches. FW Sadio Mane -- Too late to make his mark when finally called from the naughty step by Koeman. Needs to change his attitude -- and buy an alarm clock. MF Gaston Ramirez -- Brought on in a desperate late bid to salvage a point but could not unlock the Norwich defence. MF Reed -- A frustrated spectator for much of the season, the youngster should now get a starting chance in place of the banned Wanyama.